Richard Nadeau was an avid tennis player for more than 20 years. The Toronto native and part-time Naples resident had a number of back surgeries and couldn't effectively execute the overhead serving motion in tennis that had once come easily. In a pickle, he turned to a sport with a peculiar name. Pickleball, a racquet sport blending elements of tennis, ping pong and badminton, is rapidly gaining popularity throughout the United States. Naples will soon be the sport's epicenter, with the first U.S. Open Pickleball Championships set for April 26 through May 1 at East Naples Community Park. Nadeau, 63, said he's been playing pickleball since last January and can't get enough of it. 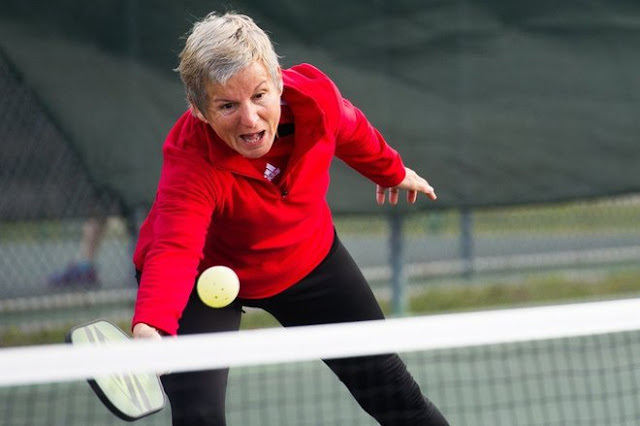 "I enjoyed tennis, but I've found pickleball to be much more addictive and fun," Nadeau said. "In tennis, if you have a really big serve, the rallies are short. You see some pros crank up a serve to 135 miles per hour and just blow the other guy off the court. In pickleball, the game is structured in such a way, that you have to rally. There's a tremendous amount of strategy involved."